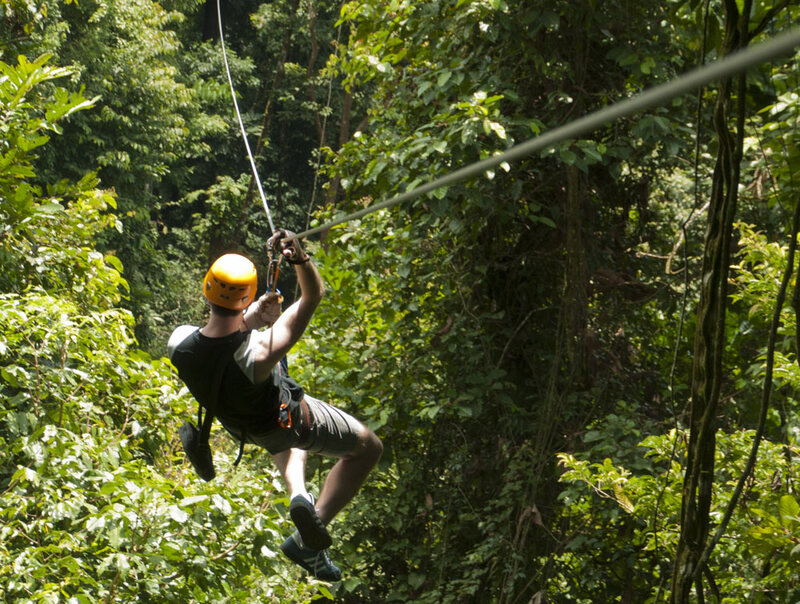 One of those fun things I always wanted to do here in Central America but never did (despite living here for a year) is ziplining (or canopy how it’s sometimes called). 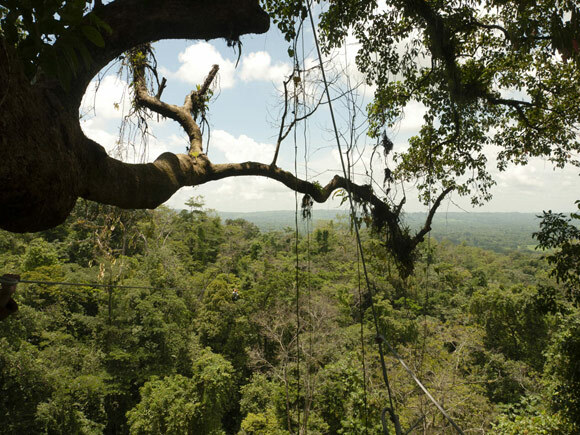 Essentially, it’s a bunch of steel cables spanned across high standing trees. With a pulley you are attached to the cable and can glide from platform to platform. 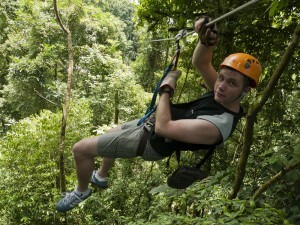 I was lucky, as my friend D’Angelo was able to get me a free ticket at the Vista Arenal tour operator. 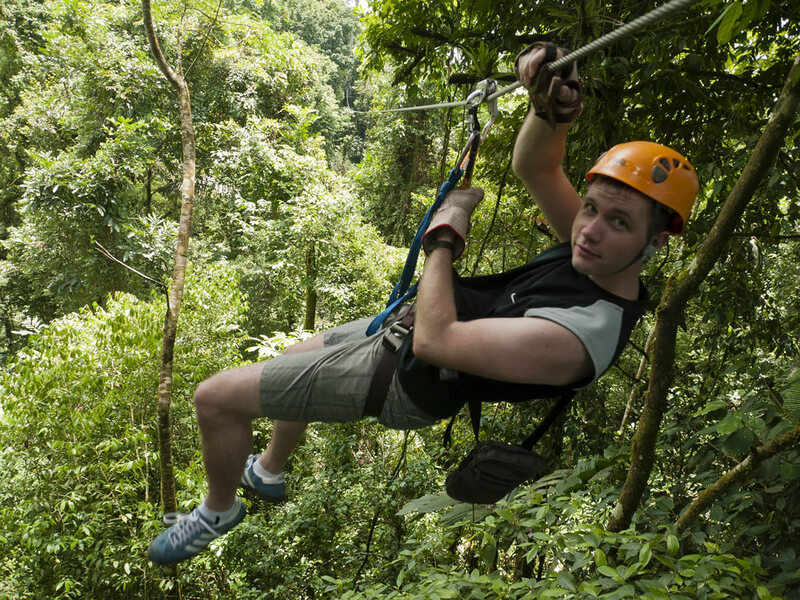 I was told there are over 120 places in Costa Rica to do this kind of activity. In the place I went to there were 12 zip lines in total, the longest one was 800m. Can you spot my friend on the steel cable? Glad you had a great time! We’ll see what we can get into next time you come back.